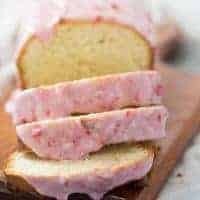 This pound cake loaf is a tangy key lime cake that is drizzled with a sweet, homemade raspberry glaze. Everything about this easy cake screams happiness! My husband’s birthday is right around the corner. I mean it is just days away, and I am not prepared. I did buy tickets for a soccer game, but that’s about it. When I ask him what he wants for his birthday, he sighs and changes the subject. I know that neither of us need anything but if it were my birthday I am confident I could come up with a dozen or more gift ideas. This morning I asked my husband one more time if there was anything he wanted for his birthday. This time he said he could use some “cool guy” clothes. He said he was tired of embarrassing me. What the heck do I do with that? I’m not sure what “cool girl” clothes like let alone cool guy clothes. For the record, he does not embarrass me; I think he is fabulous. So I’m not sure I am qualified to fulfill his request. What I am qualified to do, however, is serve up his favorite foods. Pork Parmesan and these Oven Roasted Carrots with Garlic and Parsley would make a pretty darn good birthday meal for my man, but the way to his heart is to make him anything with key limes. This coconut key lime trifle and this Tequila Key Lime Bundt Cake went over really well. This year, I’m treating him to cake! 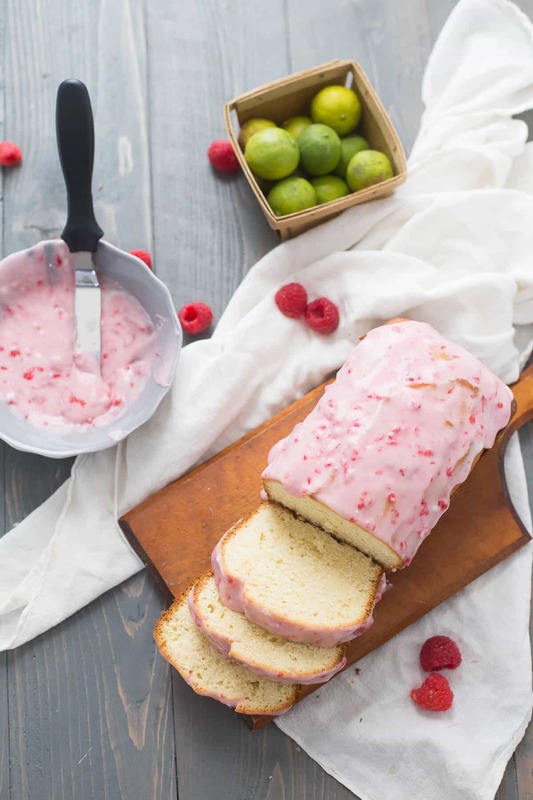 This key lime cake is a pound cake baked in a loaf pan. 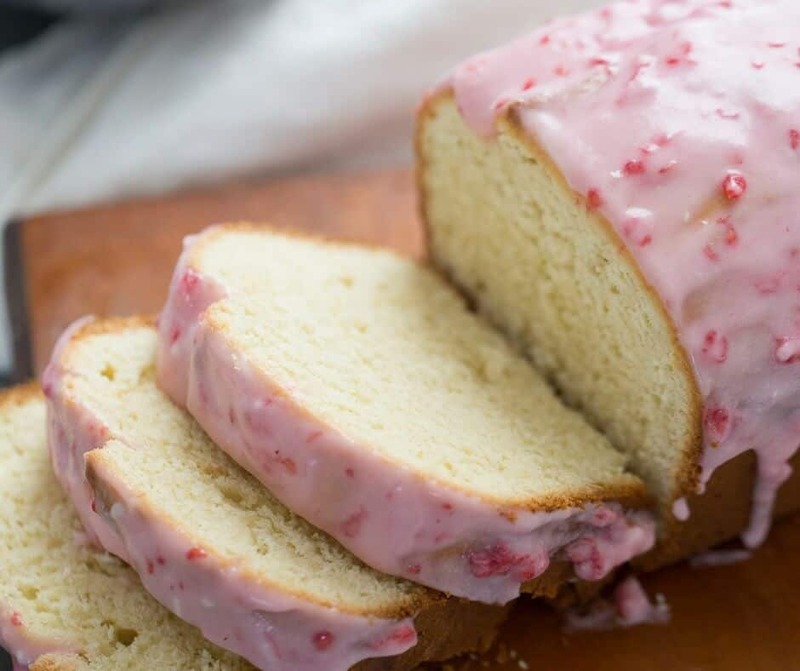 Because it is a pound cake, it is a littler denser than traditional cakes. But that’s what I wanted; I wanted a cake that would be a treat for breakfast OR after dinner. 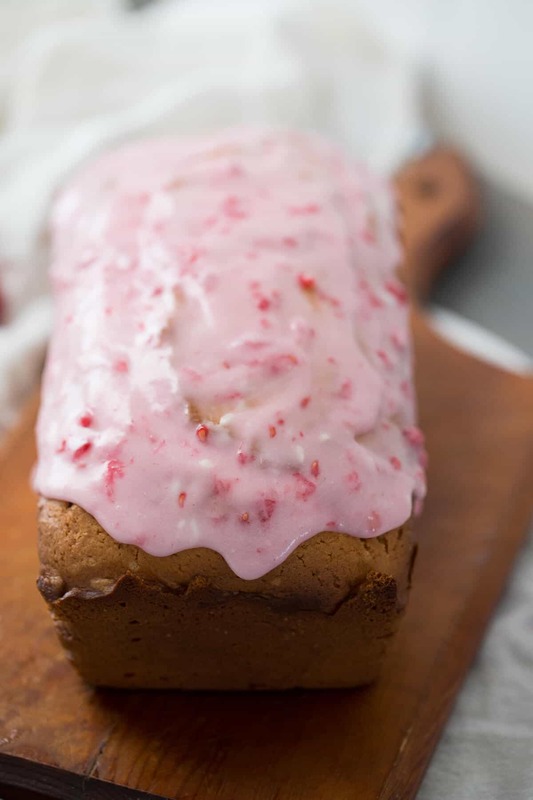 This key lime cake is topped with a very simple raspberry glaze. The glaze has the right amount of sweetness to compliment the tangy key limes. 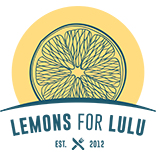 A note on key limes: I used a combination of fresh key limes and key lime juice. I found the fresh limes did not give me enough concentrated flavor. Feel free to play around with this. And play around with the glaze too, strawberries would be a great substitute for the raspberries. My husband may not have anything to open for his birthday, but at least he will be well fed. 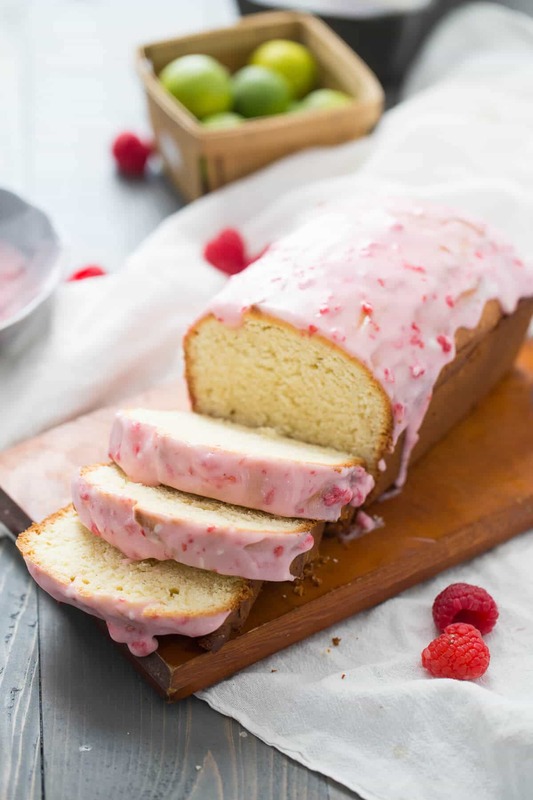 This pound cake has a subtle key line flavor which is perfect for the sweet raspberry glaze! Preheat oven to 350 degrees. Spray a 9 x 5-inch loaf pan with non-stick spray and set aside. In the bowl of a stand mixer, cream together the butter and the sugar until light and fluffy. Beat in eggs until incorporated. Stir in zest, vanilla, and key lime juice. In a small bowl, stir together the flour, salt, and baking soda. Slowly add dry ingredients to wet ingredients until fully blended. Stir in sour cream. Pour batter into prepared pan. Bake cake for 50 minutes or until golden. The cake is ready when a toothpick inserted in the center comes out clean. Remove the cake from the oven and allow it to cool completely on a cooling rack. For the glaze, whisk together the butter, powdered sugar and heavy cream (adding more cream if necessary). Stir in raspberries. 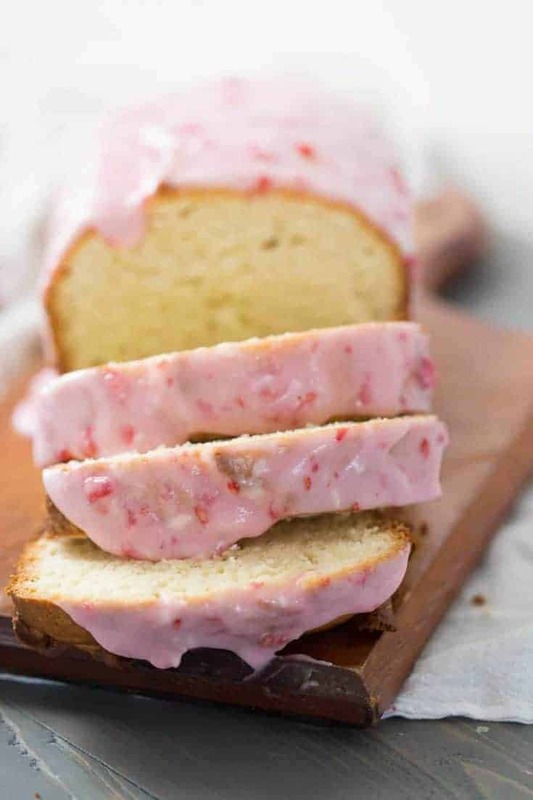 Spread glaze over cooled cake. Oh that would be bad if it were 23 teaspoons! The recipe has been amended! Thank you! I don’t see that the recipe has been changed? Can you please clarify how much key lime zest? It still says 2 3 teaspoons. Thank you! 2-3 tablespoons of zest is needed. Tablespoons or teaspoons? Recipe says teaspoons. teaspoons, but if you find the flavor isn’t strong enough, then you can increase the amount called for in the recipe. Sounds so good, and what a fabulous glaze!